“Samantha is among the most dynamic, compelling live performers I’ve seen in recent years. She’s a triple threat: guitarist, singer, and songwriter, and her music continues Rounder’s longstanding lineage of supercharged, blues-based rock’n’soul,” says Rounder Records President John Strohm. According to a press release, the New Orleans resident is busy writing songs for the forthcoming album and is working with co-writers including Parker Millsap, Patrick Sweany, and Aaron Lee Tasjan. Samantha Fish released Belle of the West in 2017. 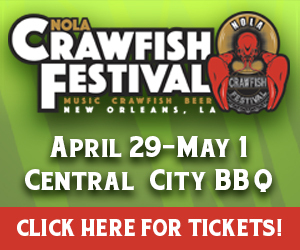 Previous PostLost Bayou Ramblers, Lukas Nelson & more to rock Hogs for the CauseNext PostEnter to win a pair of tickets to see Dragon Smoke at Tipitina’s!